RAWALPINDI: Army chief General Qamar Javed Bajwa on Wednesday ordered the armed forces to perform their duties for the upcoming election “with utmost responsibility”. The directions were given during a meeting of the corps commanders at the General Headquarters. The meeting discussed the provision of security to the Election Commission of Pakistan (ECP) for “free, fair and transparent conduct of General Elections 2018”, the army’s media wing, Inter-Services Public Relations (ISPR) said in a press release. 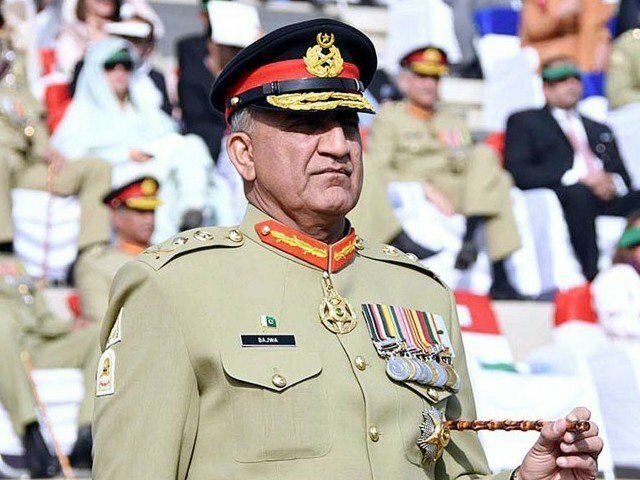 Gen Bajwa “directed that this national duty be performed with utmost responsibility and without losing any focus on defence and internal security challenges in hand”, the ISPR handout said. The forum also “reviewed [the] geo-strategic environment and recent security and other related developments in the region”, as well as progress in Operation Raddul Fasaad and socioeconomic development in areas that were cleared of terrorism with a view towards achieving lasting peace and stability. The participants of the meeting “decided to continue contributing positive efforts to carry forward [the] dividends of achieved domestic peace and stability beyond borders to the region,” the press release said. During a meeting on election preparations earlier this week, ECP Secretary Babar Yaqoob Fateh Mohammad reportedly told caretaker Prime Minister Nasirul Mulk, the four chief ministers and other top-level officials, that the army would come under the code of conduct for security personnel to be formally notified, a guiding principle of which would be that presiding officers would call the shots. He said that between 350,000 and 400,000 armed forces’ personnel would be deployed in and outside the polling stations across the country. The army has already been deployed at printing facilities in Karachi, Lahore and Islamabad where the printing of ballot papers is to start from July 1. Attendees of the meeting were informed that election material had been dispatched to provincial and district headquarters. It was highlighted that army helicopters and C-130 planes would be needed for transporting the ballot papers, and that security would be required for training venues, election-related officials and candidates and political leaders. The ECP secretary also briefed the meeting on the code of conduct that had been worked out for contesting candidates, presiding officers and polling staff, security agencies to be deployed for election duties, media and election observers.